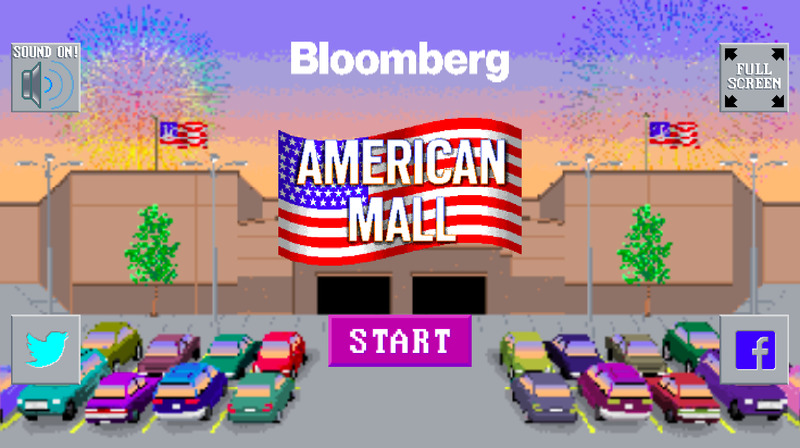 “The American Mall Game,” created by Bloomberg, can be played for free in a web browser. The game marries the modern reality of running a mall with statistics and reporting. It’s a dire look into the modern mall. Running a mall these days is tough. The combination of big box stores closing and overall decline in interest from consumers makes it a losing proposition in most markets. But reading about trends and ogling photos of abandoned malls only tells us so much – “The American Mall Game: A 2018 Retail Challenge” by Bloomberg offers people a way to experience the horror of owning a failing retail giant. The game is simple: Choose one of several wealthy people who’s willing to take over an ailing mall. Each comes with their own baggage, from the experienced angel investor to the unknowing former one-hit wonder musician. How will you solve the woes of a failing mall? Like with real American malls, the one in “The American Mall Game” is haemorrhaging money. Stores are cutting prices dramatically in an attempt to stay afloat. You can choose any path to success that you like, but there’s a catch: Success is extremely difficult. At first, I thought there was no way to actually “win” in “The American Mall Game.” I could prolong the mall’s life, but the inevitability was I ran out of money, or out of happiness, or both. My colleague Kif Leswing described it as an “endless runner,” like “Temple Run.” It turns out you can win the game, but it’s not clear how that happens. The game mostly feels like survival, as stores close and patrons lose interest in visiting. The game aspects of “The American Mall Game” are relatively minimal. You scroll around your mall, clicking on garbage to pick it up, clicking on rats to expel them, and clicking on unwanted patrons to kick them out. You can also click on the various mall stores – like “Garp” and “Victoria’s Conspiracy” – to have rent negotiations. As you might imagine, these don’t go super well. But this game isn’t really about high scores or other traditional video game tropes – it’s a means of explaining the complexity of the ongoing decline of the American mall. Do yourself a favour and check out the game right here.